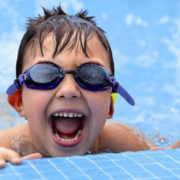 Aspire Swim Group provides participants with the opportunity to play in the pool at the Upper Valley Aquatic Center for one hour with their peers and with trained student volunteers. If your child needs more support in the water, please let us know and we will ensure they have 2:1 support. Space is limited, so please RSVP.